Solution: The 20 lb cart is supported on rollers of negligible size. 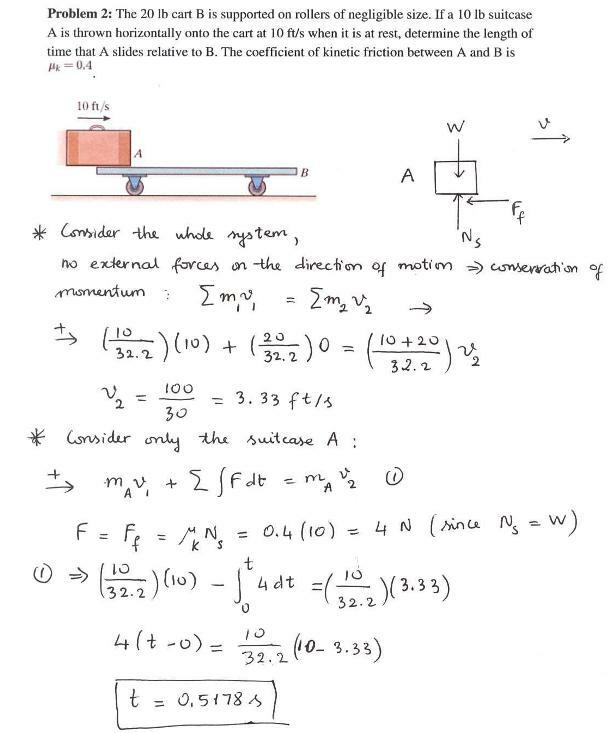 If a 10 lb suitcase A is thrown horizontally onto the cart at 10 ft/s when it is at rest, determine the length of time that A slides relative to B, and the final velocity of A and B. The coefficient of kinetic friction between A and B is .4. Determine the distance B moves at the instant A stops relative to B. The 20 lb cart is supported on rollers of negligible size. If a 10 lb suitcase A is thrown horizontally onto the cart at 10 ft/s when it is at rest, determine the length of time that A slides relative to B, and the final velocity of A and B. The coefficient of kinetic friction between A and B is .4. 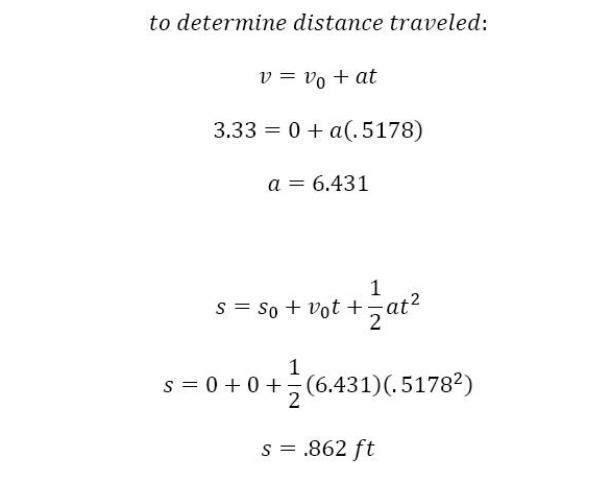 Determine the distance B moves at the instant A stops relative to B.